Hello everyone! 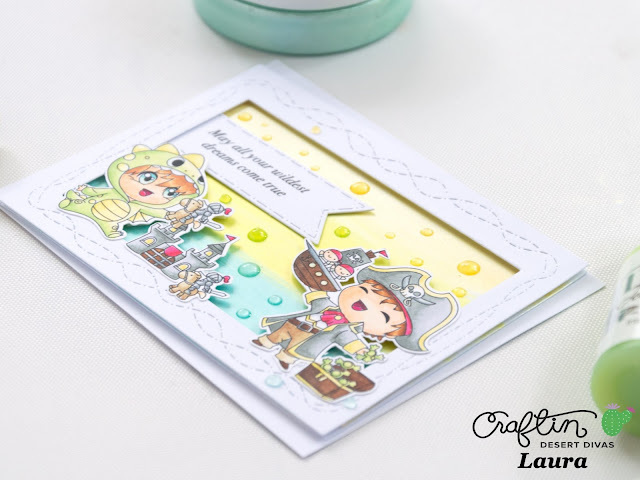 It's DT member Laura here, from A bit of my crafts, with a card and a video showcasing images from the insanely cute Play Time stamp set! This is without a doubt one of my favorites from the August release, it is just sooo sweet! I had so much fun coloring all the images in this set, and I love how the little boys are dressed up in clothes that match the toys they are playing with! Such a fun idea! To make this card I stamped my images on some Neenah Solar White cardstock and I colored them in using my Spectrum Noir markers. I tried to stick to lighter shades to give a bit of a softer look to the images, and I used the same colors for both the dragon and pirate boy images, just in different proportions. This way I can achieve a more cohesive look on my card without giving the feeling that my color choices are repetitive. My card base is some heavyweight white cardstock cut at a standard A2 size. For the stitched frame I cut the same white cardstock using the two largest dies from the Crazy Frames Dies. For the background I took yet another piece of the same with cardstock and blended my Nuvo Mousses using a make up sponge. I used the colors Aquamarine, Citrus Green and Lemon Sorbet and simply created some horizontal stripes across my panel. I then used the largest die from the Crazy Frames Dies to cut the panel to the same size as the front frame. At this point I started assembling my card: I used some foam tape to raise the frame and the parts of my images hanging off of it. I then adhered everything to my stripey background. For the sentiment I used one of the dies from the Flag Banners Dies set, and I added some extra cardstock at the back to raise it a little with respect to the background before gluing it down. I used some liquid glue to attach everything to my card base, and I decided to angle it for some extra interest. As a finishing touch I added Nuvo Drops pretty much everywhere. :) I used respectively on the blue, green and yellow areas of my background so that everything would match nicely. I also filmed a video tutorial showing how I created this card, to make it easier for you to follow along. I hope you will enjoy it! And that's it for today's post! 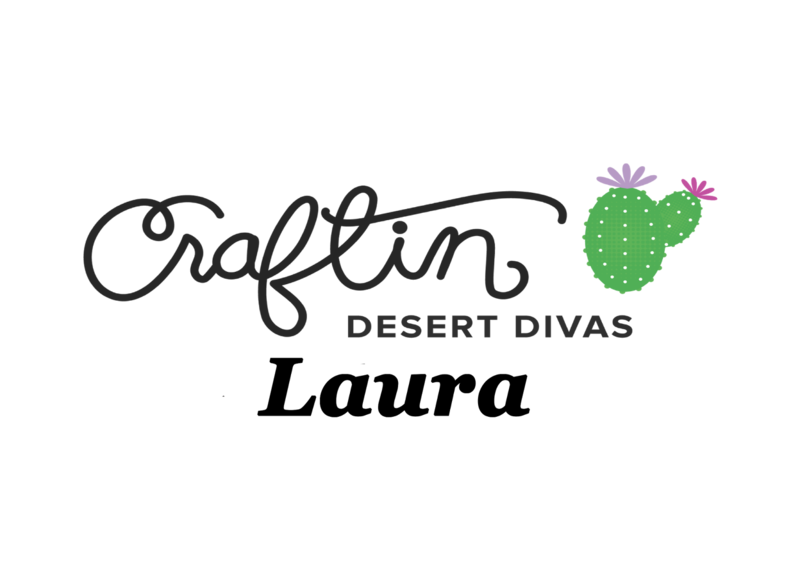 I really hope you liked it, and I hope I inspired you to create with these adorable stamps! I will list all the supplies I used at the very end of this post, and I wish you all a wonderful day. 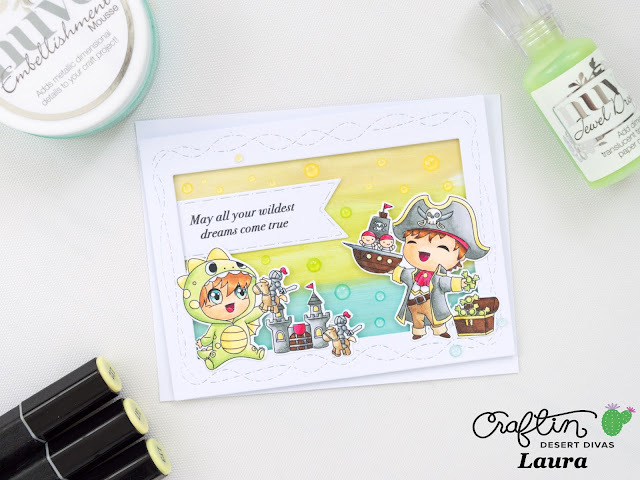 Insanely cute card you created! Thanks for sharing. Oh my word...This is so stinkin' cute! Love it! Such a cute and fun card! !